​In July 1907, King Frederick VIII of Denmark, visited Iceland. On this tour we will ride a part of the route he took in order to see the most interesting places of the south of Iceland. 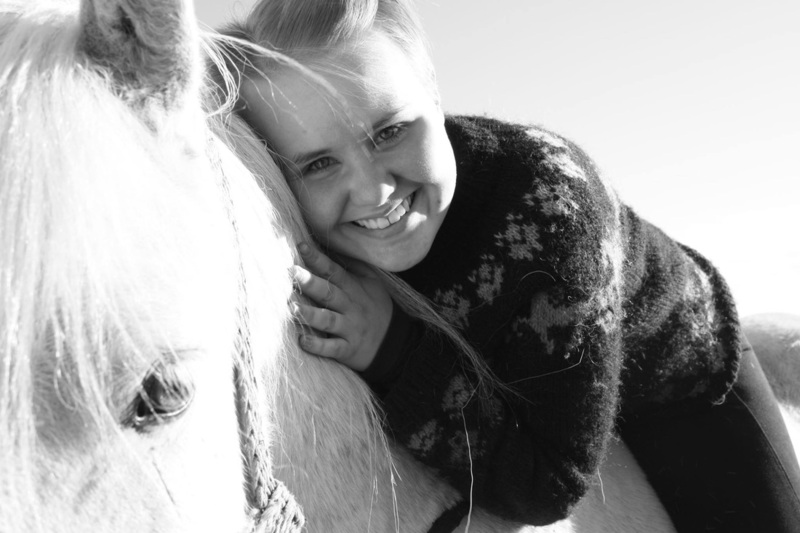 We will start with riding lessons to get you up to speed in riding the gaits of the Icelandic horses and follow that through with riding tours to the Geysir geothermal area and waterfall Gullfoss. Then we take on a four day riding tour to Þingvellir where the viking age parlament was founded in 930 A.D. Comfortable accommodation during the tour will be provided at the beautiful farm owned by our friends Asa and Hjalti. The farm is perfectly situated close to the Geysir area and the Golden Waterfall Gullfoss. The Danish king Frederick actually did stop here at this farm for a coffee in 1907, so the place has been know for hospitality for over 100 years! One of the nights we will drive to the town Flúðir where you will have the opportunity to take a bath in a natural pool. Please note that you should already have some riding experience for this tour! Not suitable for complete beginners. Day 1:. 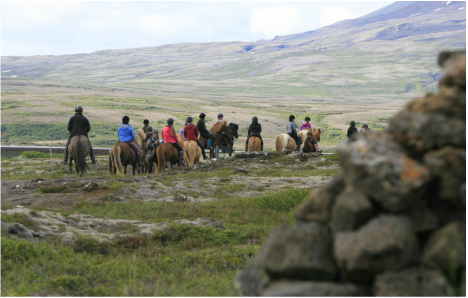 Riding workshop and a riding tour to Geysir geothermal area. Day 2:. Riding workshop and a riding tour to Gullfoss waterfall. We ride west on great trails past Geysir over the heaths of Tjarnarheiði and end at the fram Tjörn where we leave the horses and head back to our home farm for accommodation. 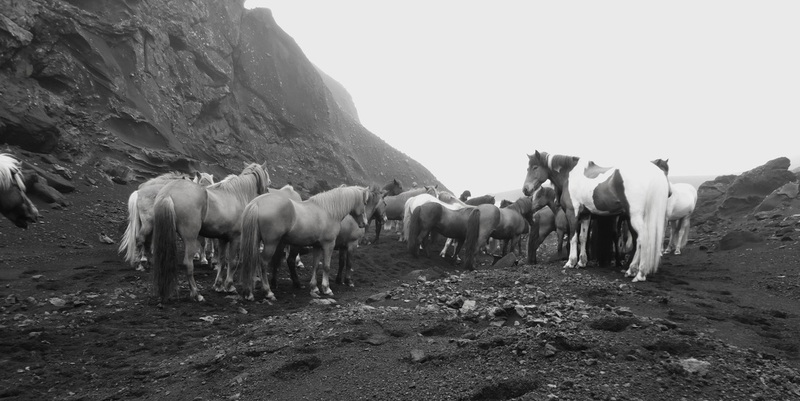 We ride towards the farm Efsti-Dalur and into the Kings Road through forested slopes to the farm Snorrastaðir where we leave the horses and drive to Flúðir for a hot bath in a natural pool. We ride into the national park of Þingvellir, where the Viking age settlers set up their parlament in 930 A.D. We will visit the parlament site before driving back to the farm for a farewell dinner. After breakfast a bus will take you from the farmhouse to Reykjavík. Flybus transfer to and from BSÍ/accommodation in Capital area € 20.- p.p. Flybus transfer to and from BSÍ/accommodation including Blue Lagoon € 69.- p.p. Please have a look at our website http://www.exploringiceland.is/accommodation-in-iceland.html for recommendations! In case you would like to add a couple of days before or after the tour please check out our many different daytours from Reykjavík.